Barsu Village is situated in Uttarkashi district amidst scenic surroundings. It is the starting point of the trek to Dayara Bugyal. The GMVN Tourist Rest House at Barsu Village provides standard accommodation to the travelers at budget prices. Barsu Village is well connected by motorable roads with major destinations of Garhwal Region. The scenic Dayara Bugyal is situated 8kms from Barsu Village. The maximum temperature of Barsu goes upto 22oC and the minimum temperature is 1oC. Barsu Village is accessible throughout the year. Barsu Village is situated 12kms from Bhatwari at an elevation of 1,000mts above sea level. 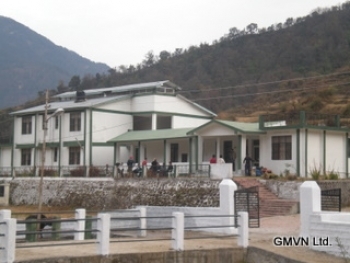 The GMVN TRH Barsu offers well budget accommodation to trekkers and tourists in Barsu. It has 08 economic rooms and 08 bedded dormitory. The amenities in the rest house are attach bathroom, hot water supply, TV etc. The restaurant in the rest house serves variety of delicious food.